Today is the day when the LAA have issued a whole new load of contract awards after recent tenders by law firms across the UK. So far we have had telephone calls from law firms asking about Family Law Supervisors and Mental Health Law Supervisors. Any more? 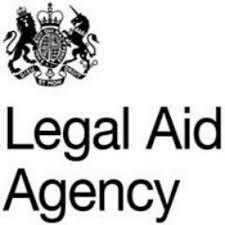 I can’t remember if Housing or Immigration are still worthy of legal aid funding or not. Here are our top 10 tips for not recruiting a supervisor in time for the signing up deadline. Offer the supervisor a profit share arrangement and tell them they will need to get their own work in. Only aim to recruit a supervisor who undertakes family, mental health, crime and conveyancing and is a supervisor in at least 3 fields. Oh and speaks French, supports Leyton Orient and can stand on their head for 10 minutes. Indicate that the LAA supervisor solicitor should be bloody lucky to have a job at all and offer them £25,000. Inform the potential supervising solicitor that you will expect them to complete the LAA form prior to interview so you can see that they fit the bill. Fail to interview the supervisor and just offer them a job. Even better wait until the day before the deadline and then offer them the job. Indicate that you will pay a monthly retainer and that they only need to work 10 hours for your firm. Offer them a part time job (you can only be supervisor for one firm at a time unless someone has worked out a way around this!). Advise the supervisor that you only need them until you have completed the LAA Supervisor requirements yourself and then they can clear off. Think that in some way the LAA supervisors who currently exist (a dwindling number every year) may want to come and work for your firm in a new area of law rather than for an existing Family/Mental Health law department. Consider that LAA Supervisors will be excited as you are that your firm now has the offer of a contract with the LAA. Most have seen it all before and know that making a profit out of these wretched things is getting harder and harder. Does this sound a bit jaded? Probably. However we have been through so many rounds of this nonsensical exercise – existing firms don’t bother bidding because the work is non-profitable, new entrants come into the market thinking it is profitable and lo and behold win a contract. They then ring us expecting lots of excitement at our end of the phone as well. Unfortunately, although we love to help where we can, the only winners out of these contracts are the government and the LAA, who can demonstrate more and more costs savings. Salaries are rarely affordable when the new firms have no work to offer and are dependent on the LAA supervisors to go out and get it. Why would they bother when their existing firms have plenty (unless their existing firms have decided not to bother anymore). If you are looking for supervisors, get in touch. We have a good number on the books, but please bear in mind the advice above..
Current minimum salary levels for LAA supervisors to move in any category other than Immigration/Housing (if these still exist) is about £35,000. Closer to £40,000 and above is more likely for Mental Health Supervisors at any location across the UK. Finding staff who do more than one area of law is like hunting for an honest politician..